The Alaska Constitution created the seven-member council that oversees the selection and retention of judges. Republican Sen. Pete Kelly’s Senate Joint Resolution aims to amend the constitution and add three additional members to the independent citizens’ commission. The resolution initially called for the addition of nine new members but was amended. Increasing the council’s membership, the resolution’s sponsors say, would increase regional representation and protect against any one member running the show and exerting dominance in nominations. At least one opponent of the proposed constitutional amendment argues the change would shift the balance of Alaska’s judicial system toward the governor’s socially conservative principles. 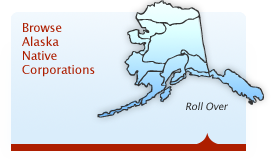 The Alaska Federation of Natives is arguing against increasing the size of the council. Ultimately, it feels the council could improve but overall is performing well. 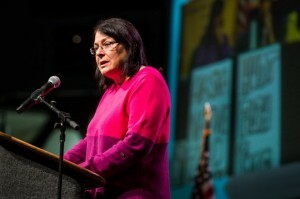 AFN passed its own resolution Tuesday opposing the change. “There is no evidence to suggest that the council has failed to function effectively or efficiently in performing its duties, or to suggest that a change to the Alaska State Constitution is warranted,” said AFN president Julie Kitka in a prepared statement. In its current composition, the council consists of three attorneys, three non-attorneys and the chief justice of the Alaska Supreme Court. The proposed larger council would include three attorneys, six non-attorneys and the chief justice. Daniel Cheyette, associate general counsel for Bristol Bay Native Corporation, spoke before the Senate Judiciary Committee on Monday, relaying AFN’s concerns over the resolution. However, the committee decided to advance the bill to the Finance Committee. Cheyette said he’s personally more concerned that changing the council’s size could dilute the quality of its work. Five to 15 applicants vie for each judicial vacancy, and the seven members pore over binders of background, he said. “The group of seven works well together; they work closely and develop relationships, deciding these important positions together,” Cheyette said. “If the number increases ... there’s less of a compunction on folks if they decide to do less work. They may think someone else looked over the binders of information. Cheyette added the current criteria for council members includes geographic diversity. The guideline simply hasn’t been implemented, he said. Members Chief Justice Dana Fabe and private attorneys James E. Torgerson work out of Anchorage. 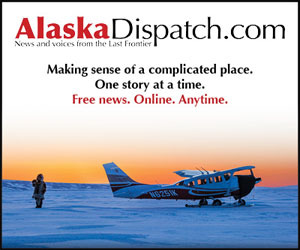 The council’s two remaining attorney members are based in Fairbanks and Juneau. Mallot argues that state’s judiciary is highly regarded nationwide because of the selection process set forth in the Alaska Constitution. “Now some politicians want to fundamentally alter the makeup of the judicial council to reshape the judiciary into an ideological rubber stamp of government ... We cannot allow them to take away the judiciary’s independence or weaken its power to protect the public,” he said.